On Thursday, August 30, 2018, at approximately 3:52 p.m., Killeen Police were involved in a pursuit near the Cantabrian area after the driver of a black SUV refused to stop. The driver led officers on Elms Road when the driver entered the intersection of Fort Hood Street and Elms Road and collided into a black SUV. The suspect driver then rammed his vehicle into a police cruiser forcing the officer to discharge his weapon. The suspect received a gunshot wound from the shooting and was airlifted to Baylor Scott & White Medical Center in Temple. The Killeen Police Department Criminal Investigation Division and Texas Rangers responded to the scene and an investigation is ongoing, being led by the Rangers. Any further requests for information surrounding this incident can be directed to Sgt. David Roberts with the Texas Department of Public Safety. On Saturday, August 25, 2018, at approximately 11:19am, we received a 911 call in reference to a bank robbery at the BBVA Compass Bank located at 1300 E. Central Texas Expressway. Officers’ were told that a male entered the bank, approached the teller and demanded money. The teller complied and the suspect fled in a vehicle in an unknown direction. The suspect is described as a white male, approximately 5’10” and weighing approximately 200-220 pounds. He was last seen wearing a blue denim long sleeve shirt, blue jeans, a camouflage ball cap and sunglasses. The suspect may have a patch over his right eye. Detectives with the Criminal Investigation Division, obtained photos of the suspect and are asking anyone who can identify him or may have information to contact Crime Stoppers at 526-TIPS (8477), go online anonymously at http://www.bellcountycrimestoppers.com or text BELLCO along with the tip to 274637. Text HELP to 274637 for help with the tip or text STOP to 274637 to stop the tip. All information is confidential and anonymous and if your tip leads to the arrest of the suspect in this bank robbery you could be eligible to receive a reward up to $1,000 in cash. The shooting victim in this Murder has been identified as 41 year-old Deandre Patrick Thomas of Killeen. On Sunday, August 19, 2018, the Bell County District Attorney’s Office reviewed the case and issued a complaint charging 45 year-old Reginald Ferlandus Jackson with Murder. Jackson was arraigned by Justice of the Peace Claudia Brown and set his bond at $500,000. On Saturday, August 18, 2018, at approximately 1:48 a.m., the Killeen Police Department received a 911 call in reference to a shooting victim at the OBok Restaurant and Club located 2815 S Ft Hood Street. Upon the officers arrival they found a male lying on the ground suffering from a gunshot wound. The victim was immediately transported to the Carl R Darnall Army Medical Center in critical condition. The 41 year-old male victim succumbed to his injuries and was pronounced deceased by Justice of the Peace Claudia Brown at 2:46 a.m. An autopsy has been ordered to be performed at the Southwestern Institute of Forensics Sciences in Dallas. The preliminary investigation revealed that the victim and suspect were in a verbal altercation when the suspect displayed a weapon and shot the victim. One person has been arrested and charges are pending through the Bell County District Attorneys Office. Detectives with the Criminal Investigation Division Homicide Unit continue to investigate this Murder and ask any witnesses that were at this incident to contact the Killeen Police Department at (254) 501-8830. On Wednesday, August 15, 2018, at approximately 2:16 p.m., the Killeen Police Department received a 911 call in reference to a stolen black Ford pickup on John Road. Officers located the vehicle traveling near the intersection of Cranford Avenue and 40th Street and attempted to conduct a traffic stop however the driver refused to stop and a pursuit ensued. The suspect driver led officers on a short pursuit towards Twin Creek Road and Creekside Drive when he reached a dead end. The suspect rammed into a police unit and made U-turn, attempting to run over an officer forcing the officer to discharge his weapon. The suspect continued to drive onto Owl Hollow Circle and came to stop after crashing into a residence. At approximately 2:52 p.m., officers apprehended the driver as well as two other juvenile suspects that had been in the vehicle. The names of the suspects will not be released since they are juveniles. 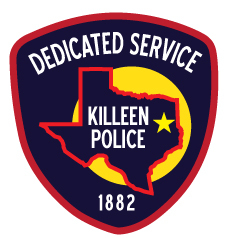 On Saturday, August 4, 2018, at approximately 2:00 a.m., Killeen Police were dispatched to the 4500 block of Alan Kent Drive in reference to a 911 call about shots fired. Upon the officers’ arrival, they found a black male suffering from a gunshot wound. Officers immediately started to perform life saving measures until paramedics arrived. The victim was immediately transported to the Carl R. Darnall Army Medical Center in critical condition. The 33 year-old male victim, Cleveland Jermaine Lewis of Killeen, succumbed to his injuries and was pronounced deceased by Justice of the Peace Claudia Brown at 4:45 a.m. An autopsy has been ordered to be performed at the Southwestern Institute of Forensics Sciences in Dallas. Detectives are asking anyone who has information about this Murder, to contact Crime Stoppers at 254-526-TIPS (8477) or go online at www.bellcountycrimestoppers.com. You can also download the P3Tips App for IOS or Android and give an anonymous tip. All information is confidential and anonymous and if your tip leads to the arrest of the person(s) responsible, you could be eligible to receive a reward up to $1,000 in cash. On Friday, August 3, 2018, detectives with the Killeen Police Department Criminal Investigation Division, Special Missions Unit, received information on the whereabouts of a wanted fugitive. At approximately 9:00 a.m., detectives executed the warrant at a residence in the 2500 block of Huckleberry Drive. They located a man with an outstanding arrest warrant for Burglary of a Habitation with Intent and at approximately 9:26 a.m., 18 year-old Michael Anthony Mango III was taken into custody without incident and transported to the Killeen City Jail.